ramses lamp table. ancient egyptian furnishings. designer furniture. Ramses Lamp Table was inspired by furnishings of ancient Egypt. More is known about furniture in Egypt than anywhere else in the ancient world. At the time of the New Kingdom, Egyptian furniture was highly prized and was often sent as tribute to the rulers of neighboring countries. The homes of officials and nobles were furnished with a wide range of furniture, the most common of which was the stool. 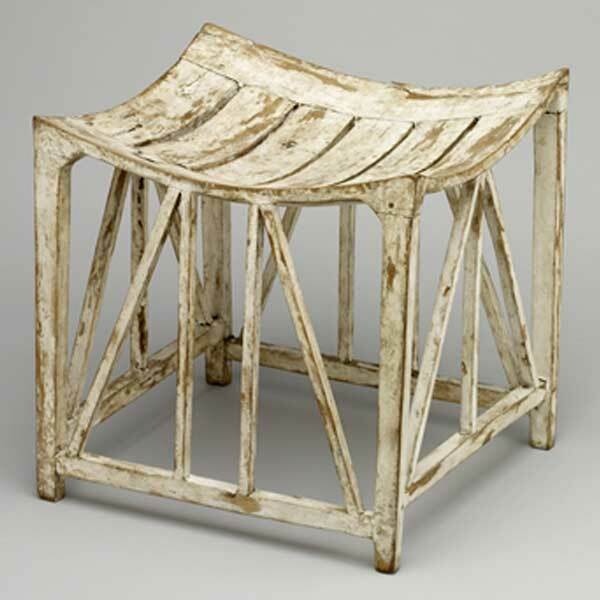 The most used were lattice stools that were made from thin struts of timber with angled braces. That’s the stool award-winning designer, Shah Gilani, ASFD, transformed into the Ramses Lamp Table. 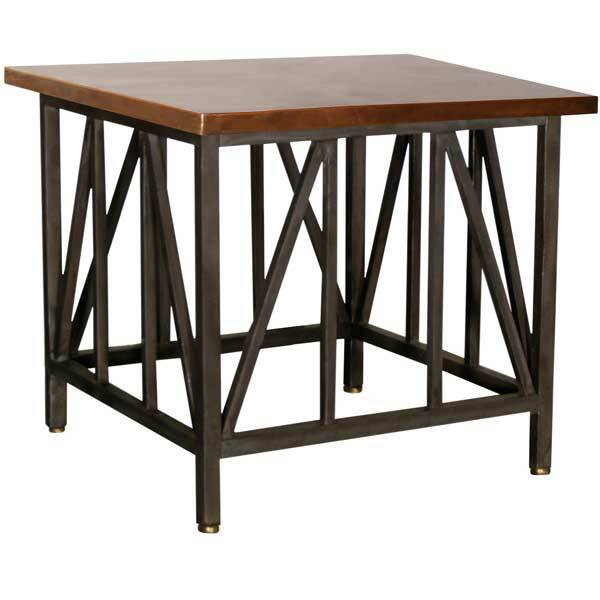 With its timeless elegance, it makes an exceptional side table for upscale residential and hospitality interiors. 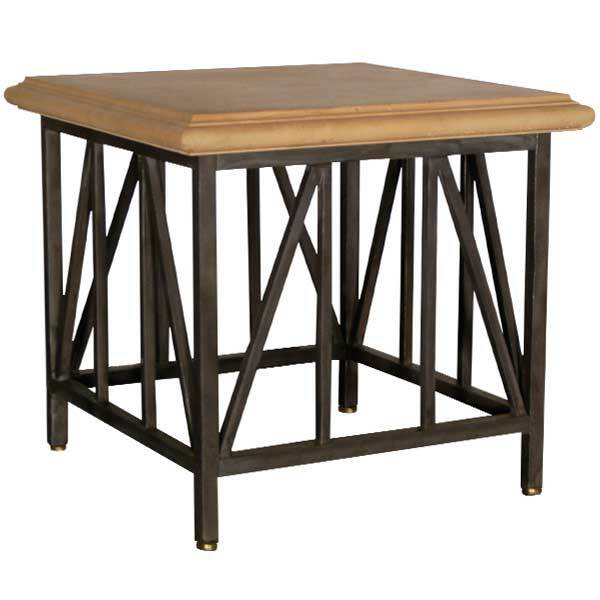 The table base is offered with various top options, including glass, stone, and wood. Robust metal construction allows the base to support heavy table tops without shaking. Four polished bronze glides are provided which also serve as levelers – a useful feature to have when the floor is uneven. The table base is offered in a variety of finishes. Custom sizing is available.